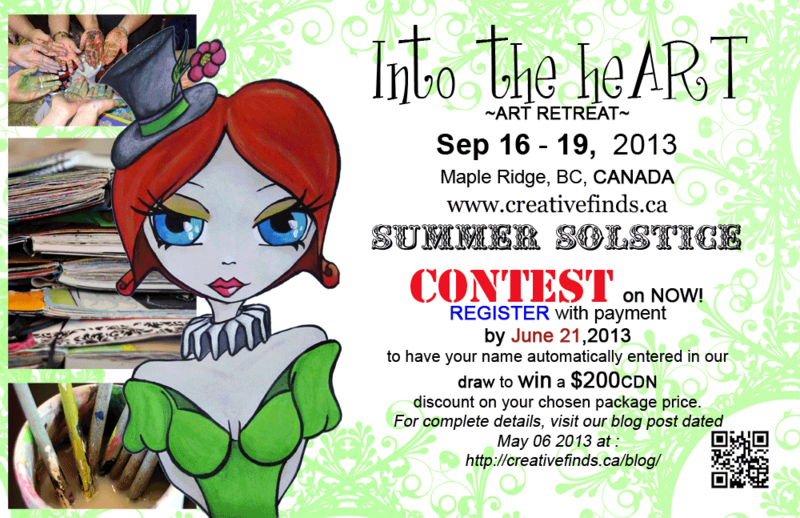 Just a HOP, SKIP & a JUMP from the fun little town of MAPLE RIDGE … is your next Creative Adventure & time away to just breathe!! JOIN US this Fall at Loon Lake Lodge! 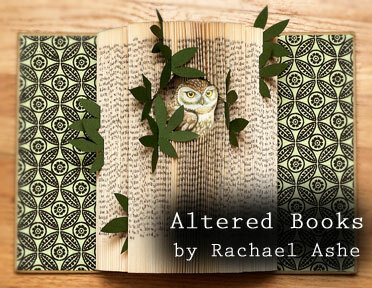 We asked our Fall 2013 Art Retreat Instructor, Rachael, a few questions about herself and would love to share them with you now. Which Artist inspires you the most & why? : Two artists I am currently inspired by are Elsa Mora and Cal Lane. Elsa Mora because she works in many different mediums and seems to live a very creative life. 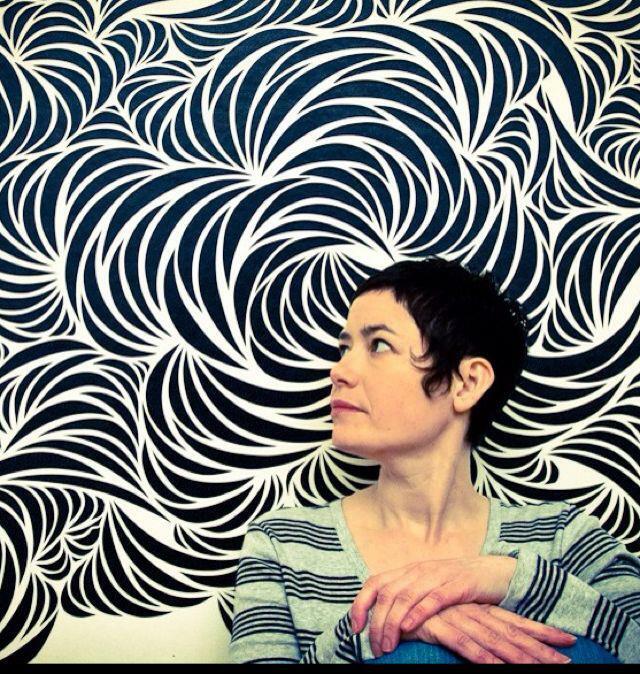 I really admire her paper cut work because she has a very unique style of working. Cal Lane is an artist working with reclaimed industrial steel to create large-scale installations of cut metal in an illustrative style. It’s as if she’s translate paper cutting into metal. What would you love to try next, creatively? : At the moment I am trying to teach myself more about paper folding and creating three-dimensional forms from paper. I’m hoping to create more sculptural pieces with my paper cutting work. Where do you find your muse/inspiration? :I’ve learned I can find inspiration pretty much anywhere. From walking in the woods, to playing with materials in the studio, to having a conversation with another artist and exchanging ideas. I like to teach because:I enjoy sharing what I do with others because it allows me to learn from my students in return. I’m curious to see what someone else will do with the techniques I share, and often I do learn something new. The best part of living a creative life is:I live a happier and more satisfying life because I am tapped into my creativity on a regular basis. The best part is that I’m getting to do something I feel passionate about. What is the worst part of living a creative life? :There never seems to be enough time to do all of the projects I think up. I always feel like I am behind or that I’m not doing enough. What advice would you like to share? : The two most important things you need to lead a creative life are time and money. An artist/creative person can never have enough time to devote to their art, and that includes time to experiment and explore new ideas. The money part probably goes without saying. ‘Being creative’ means : I’m not actually sure how to define creativity. I believe everyone is creative in some way, and creativity can take many different forms. What was your scariest creative adventure? : My scariest creative adventure is the one I’m on right now. I’m working full time as an artist and trying to turn this into a permanent gig. It’s very scary to do this at times because I don’t have a steady income right now. I would not be able to do this without the generous support of my partner, Boris. What makes your heart swell with joy? : My heart swells with joy when I walk around Vancouver is spring time and see all these beautiful flowering trees around the city. It’s such an incredible, magical sight. 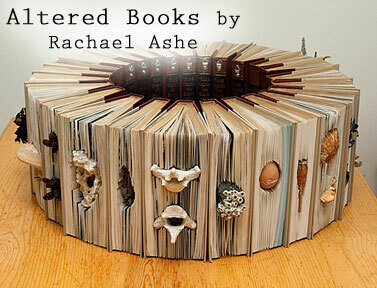 Three words to describe my work are: Meditative, intriguing, intricate. What creative tool can you not live without (so-to-speak)? 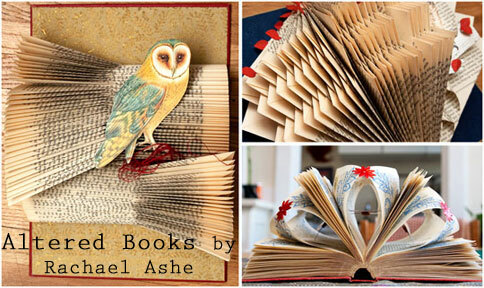 : With my altered book work I could not live without access to old books. With my paper cut work I could not live without my art knife with a sharp blade and a simple piece of paper. The tools and materials I work with are pretty simple and I could not do my work at all without them. WATCH her video on OPUS‘ ,one of our sponsors, website! 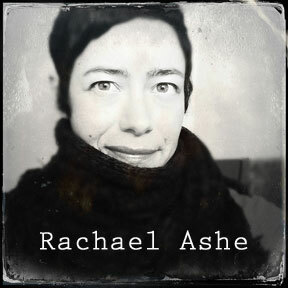 Rachael’s profile photo from facebook. 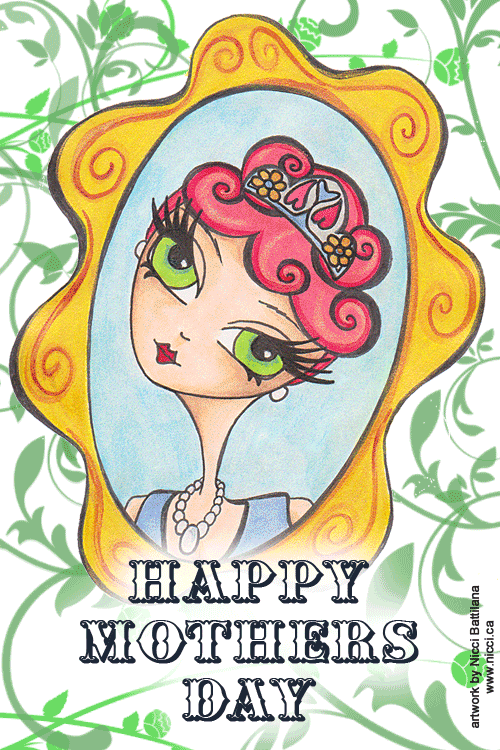 Sending love to all the fabulous creative Mom’s out there!!! Let a mother’s love be your MUSE today ….